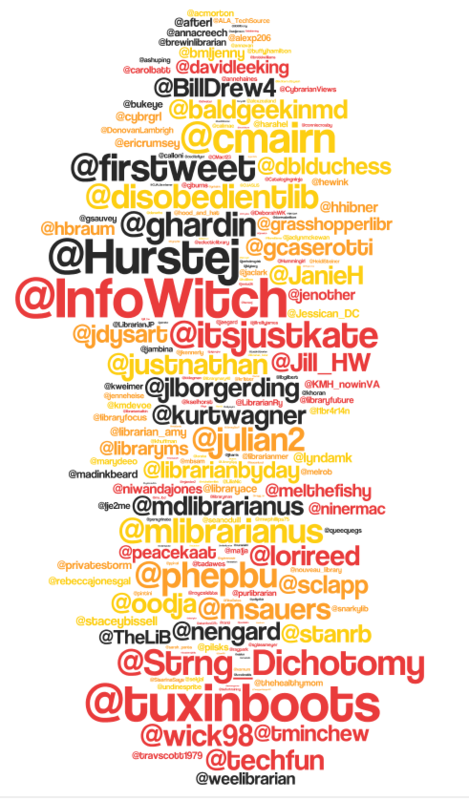 This Wordle shows the relative number of #IntLib10 tweets per tweeter so far. Jane Dysart messaged me earlier on Twitter and bounced over the idea about using the #CIL2010 TwapperKeeper Notebook to create a Wordle. I took one look at all the tags and abbreviations and realized that would be messy, but her idea sounded fun if we just used the Twitter ID’s of those who used the #CIL2010 hashtag. 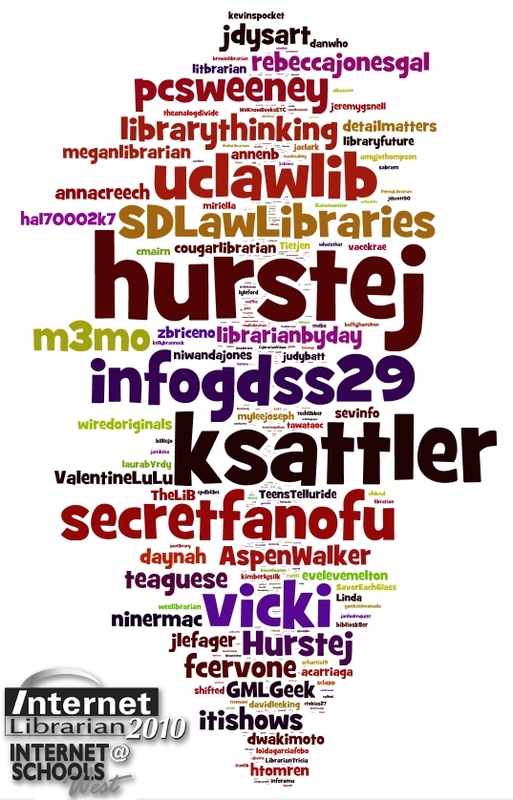 This Wordle is made from the Twitter ID’s of everyone who used the #CIL2010 tag 5 times or more whether they were in attendance or not (yea, I mean you Tom Bruno/@oodja).